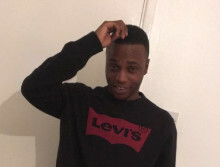 A murder investigation continues after a man was fatally stabbed at a youth club in Brixton. A post-mortem examination took place at Greenwich Mortuary on Friday, 22 February and gave cause of death as stab injuries. Detective Chief Inspector Richard Vandenbergh leads the investigating - he said: "I am continuing to appeal to anyone who was in or around the youth club in Minet Road on the evening of Thursday, 21 February to contact police. "We have now established that this incident started outside the club before the victim was chased inside and attacked. "The early indications are that this attack was premeditated and targeted. "My team need to hear from those who were at the youth club either before, during or after that attack. The youth club was open at the time and sadly many young people present would have witnessed what unfolded. "Many of them will be shocked and traumatised by what they saw and perhaps fearful of potential reprisals if they speak to police. I would urge them to get in touch and if they want to do so anonymously they can either call Crimestoppers via 0800 555 111 or give information anonymously online via the Fearless website."